As smooth as they come. These high quality fountain pens feature a chrome plaged body with gilt plated fittings and an attractive gold plated band. 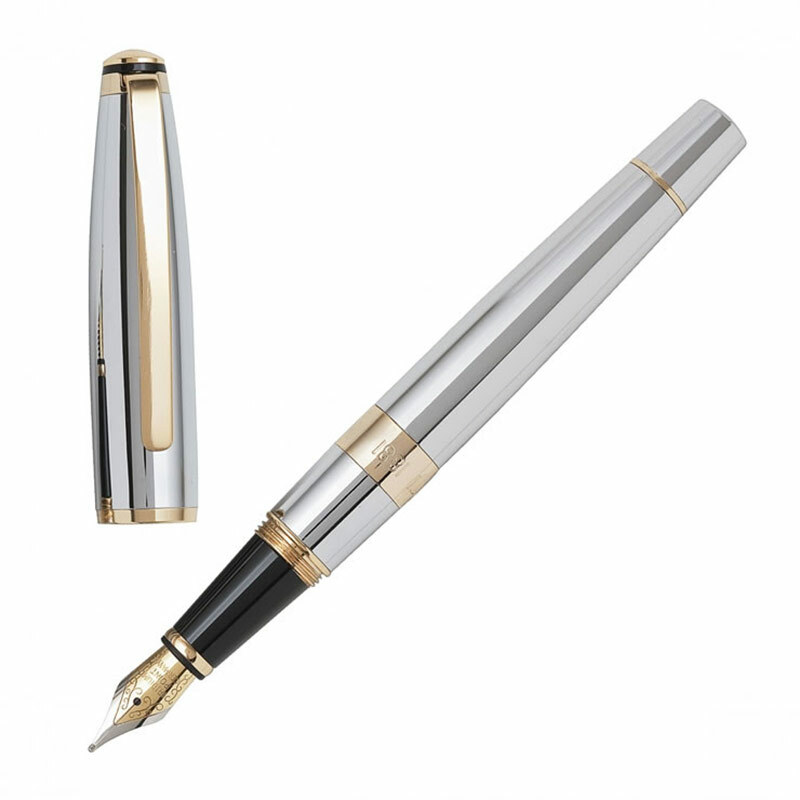 The nib is made from iridium tipped stainless steel to ensure a smooth writing action. 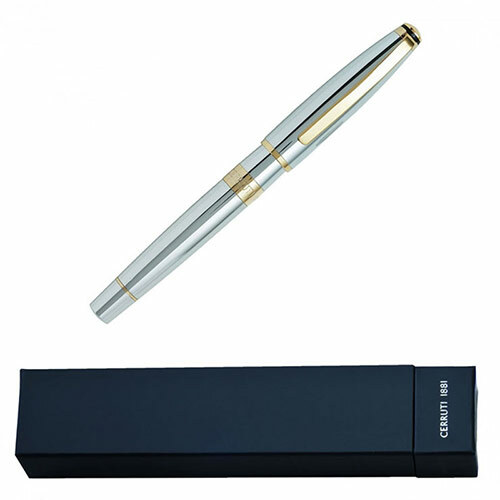 Carrying the mark of the designer label Cerruti 1881, these pens are supplied with a Cerruti branded pen presentation box. Ideal for engraving, these designer fountain pens are offered with FREE ENGRAVING of both text and logos, allowing you to create high quality corporate merchandise or business gifts.